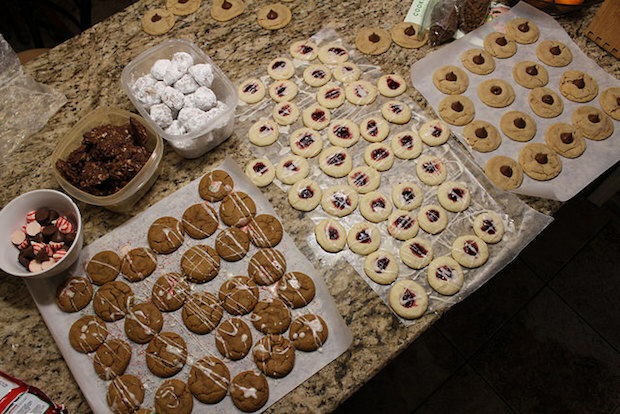 On Saturday (Christmas Eve Eve), my mom and I had our third annual Christmas cookie baking day and it was just as fun as it has been in the past! 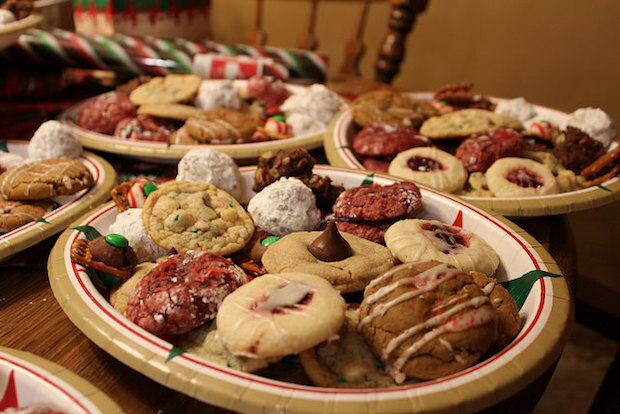 We baked eight different types of goodies and packed up trays to bring to our neighbors. Jimmy, Lola, and I left my parents’ house that evening all tuckered out, but the day was a success! On Christmas Eve, Jimmy and I went to church, passed out cookie trays to our neighbors, and then prepped dinner before heading to our church’s Christmas Eve service. 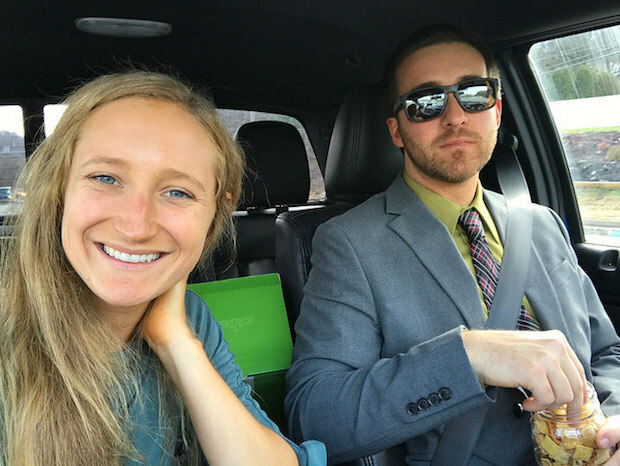 Us after church. Our friend gave us trail mix and we gobbled that up in about five seconds. The kids in our church did a live nativity this year and it was so wonderful. They really, really did a great job at depicting Jesus’ birth and the events surrounding it. Afterwards, Jimmy and I had his family over for a late dinner (I made Hawaiian chicken) and then exchanged gifts. It was such a sweet evening with laughter and joy. On Christmas day, we woke up to a beautiful, fresh blanket of snow! We haven’t had a white Christmas in Pittsburgh since 2010 (I totally looked through my archives to figure that out!). Jimmy and I had coffee, exchanged gifts, and had one of my pet sitting clients and his dog over. In the evening, we went to my mother-in-law’s for dinner and then came home and crashed hard at like 9:00 pm! That’s the sign of a great day, right? Mavis ate half a bar of chocolate on Christmas but thankfully suffered no ill effects! Jimmy gave each of the pets a gift for Christmas! I totally failed and didn’t get them anything. Sorry Lola, Malcolm, and Mavis! 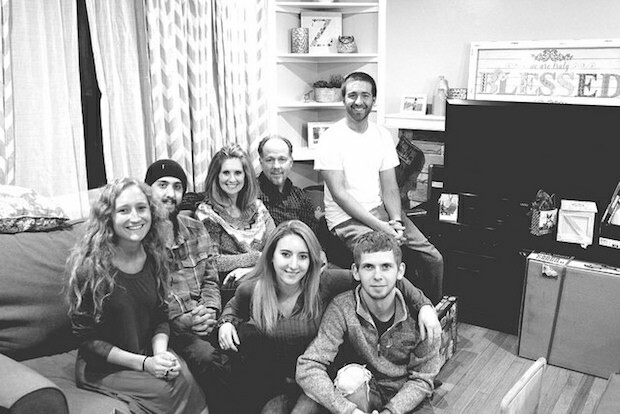 It was nice to spend the holiday with our families! Celebrating Jesus’ birth is just so special. That was really nice Allie thank you for sharing!! I’m glad you had a nice Christmas, too!! Happy New Year! Your holiday sounds quite lovely! I went to my parent’s house where we all got together. There were about 8 of us and it was the perfect amount. We helped my mom make Christmas lunch, played cards and took fun pictures. I hadn’t had a holiday like that in years. I am so happy God gave this to us! Thank you, Ellie!! It sounds like you had such a nice time with your family, which is so great to hear!! God is good! You look beautiful in your post Christmas Eve church picture! 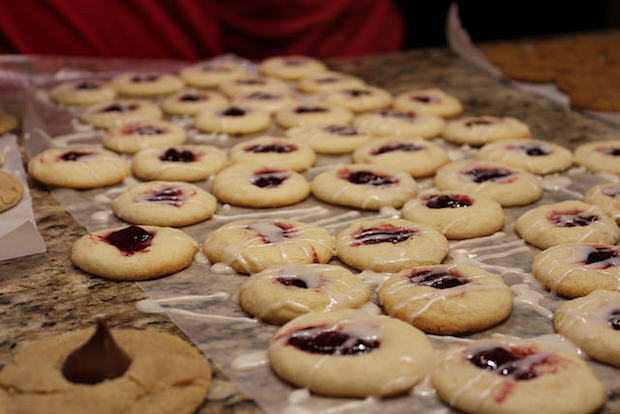 The tradition you and your mom have for Christmas baking is so sweet and I bet everyone who got the cookies loved them. Aww, thank you Maureen!! The tradition my mom and I have of baking has quickly become a favorite! I’m happy to report that all the neighbors were very excited about the cookies! Those cookies look great! My Christmas was very chill, it snowed on Christmas eve so we woke up to white everything. That was nice, and my sister and I went for a walk. Lovely Christmas!! Those cookies look so tasty. Thank you, Amy! Can’t wait to read about your Christmas! We had some happy neighbors indeed, haha!! Children’s Christmas plays are the sweetest! They make me so happy!